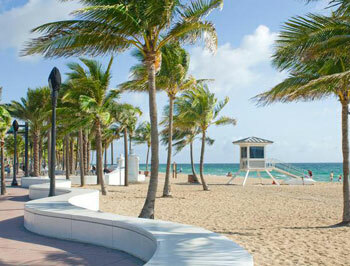 Fort Lauderdale offers an exceptional quality of life and a wonderful sub-tropical climate! The city is surrounded by numerous beautiful parks and beaches and offers a huge selection of cultural events, sports facilities, relaxation and recreation possibilities. With over 3000 hours of sunshine each year, this is a wonderful city in which to improve your English language skills and enjoy a fantastic and invigorating holiday at the same time! Situated on the southeast coast of Florida, just 30 minutes drive from Miami, Fort Lauderdale used to be widely renowned as a top party venue for college students! Recently, however, the city has also established itself as a world-class international business centre and one of the most desirable locations in the USA for new, expanding and relocating businesses! In addition to the beaches, nightlife, modern businesses and an array of interesting museums, Fort Lauderdale is also home to the ¨Swap Shop¨, a large outdoor flea market and the site of the world´s biggest drive-in cinema with 13 screens! The International Swimming Hall of Fame is another attraction not to be missed, located on Fort Lauderdale beach, which houses a museum, theatre, research library and a large aquatic complex. Explore the surrounding area during your stay and you will discover plenty more natural attractions, including the Everglades National Park and miles upon miles of palm lined beaches and lakes for water sports or other free-time activities! Our English language school is a modern school located in the centre of the city´s business district, just a short walk from the Museum of Modern Art and the internationally renowned Las Olas Boulevard - a shopping paradise with countless restaurants! There are also many sports facilities close to the school for football, tennis, squash, swimming and water sports. The school has spacious, well equipped classrooms, a computer room with free WiFi internet access, a cafeteria area with vending machines and a modern, self-access media centre. There are 14 students per class in the group English courses or just 5 per class in the Mini-Group and Business English programmes. Students are placed in exactly the right class for their language level, based on the results of a written and listening test on the first day of their course, as well as an introductory conversation with the Head of Studies at the school. We offer a variety of courses to suit all kinds of requirements. Our school offers an Intensive course where you can choose between 20 or 22 group classes each week, with a maximum of 14 students per class. Each class is 50 minutes in duration. This is the most popular programme, ideal for all students who wish to improve their general English language skills, including reading, writing, grammar, conversation and pronunciation, whilst studying together with other international students from all around the world. For students who wish to learn at a faster pace, the school also offers a Super-Intensive course, consisting of 30 group classes each week. Regardless of the course that you choose, you will automatically progress to the next level of English when you are ready, following a special programme of study at each language level. There is a Mini-Group course, consisting of 20 lessons per week, with a maximum of just 5 students in each class. This is the best choice for all students who are looking for a personalised and more intensive learning experience, with an increased level of student participation and interaction in the lessons. 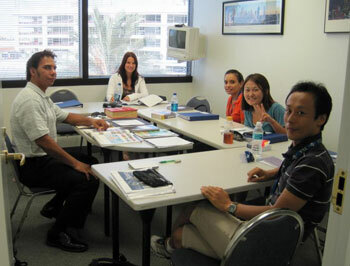 Students who are looking for a tailor-made English language course, have the option to book Private English Lessons. This is the best choice for all students who wish to cover certain aspects of the language, or who need very specialised English skills for their studies or career. If you would like to combine private tuition with a group course this is also possible at our school. The Business English Course or Super-Intensive Business English course, of 20 or 25 classes per week, is available to all students aged 21 and above who already have an upper-intermediate (C1) level of English. Both of these programmes focus on developing and improving your language skills for all types of Business situations. Both courses have a maximum of just 5 students in each class, ensuring an extremely high quality learning experience with a lot of attention to detail. With 20 lessons per week you will cover all basic principles and communication skills related to English for Business and with 25 lessons per week you will receive 5 additional private workshop classes every week, in a range of subjects such as: English for Journalism, English for Human Resources, Financial English, English for Law, English in Agriculture and the Food Industry, to name just a few. 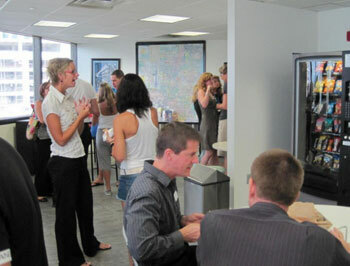 You can choose to take the Cambridge Exam Preparation Course, for 10 or 12 weeks, at our school in Fort Lauderdale. This programme consists of 20 or 30 classes each week, after which you can sit either the FCE or the CAE Exams. The course provides students with past examination papers and all the knowledge and the skills that are needed to complete a successful exam. The exam fees are not included in the preparation course fees and there are specific start dates for these courses, to coincide with the exam dates. The TOEFL examination preparation course is also available at our school and is ideal for students who are thinking to study in an American or Canadian college or university. The course is 4 weeks in duration and consists of 20 lessons each week, in groups of maximum 14 students per class. Please contact us if you would like to receive further details on any of the above courses. Accommodation is available with our carefully selected American host families, on a room only or half-board basis. You can book a single room, or a shared room if you are travelling with a friend. Choosing this type of accommodation will give you the opportunity to get to know the local people and to practise your English outside of the classroom! Host families can be married couples or single people, with or without children. All of our host families have experience hosting international students and enjoy helping you to practise your language skills in your free time. 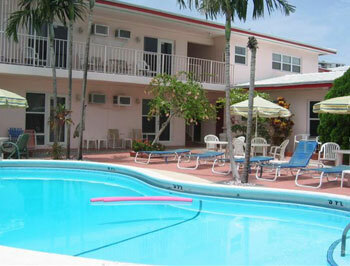 If you would prefer to cater for yourself during your stay in Fort Lauderdale, then you can book accommodation in a fully furnished, private studio apartment. The studios are all located within easy reach of the school and feature en suite bathroom facilities and a fully equipped kitchen. There is free wireless internet connection in all of the apartments. You will receive a welcome breakfast and full details of the social and cultural programme at the school, on the first day of your course. You will be able to take part in a wide range of activities during your stay, to get to know the city and the surrounding area, as well as your fellow students! 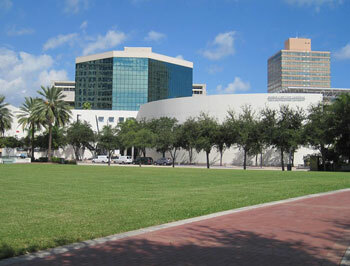 There are visits to museums, theatres and local companies in addition to evening concerts and outdoor festivals. The school also organises dinners out and evenings in a local pub. 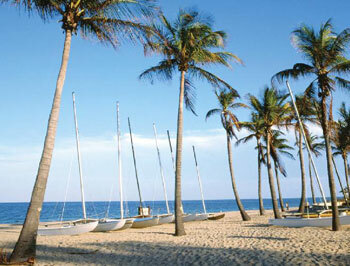 There are excursions at the weekends to beautiful places such as the Bahamas, Cape Kennedy and Key West. You can try out countless different sports and water sports near to the school, or you can simply relax and enjoy the beach life, or the shops of the famous Las Olas Boulevard and Sawgrass Mills - the world´s largest discount shopping centre! The staff at the school will be happy to help and advise on all of the possible events and venues in and around the city, to ensure that you make the very most out of your stay! We will be happy to arrange an airport transfer on your arrival into Miami International Airport, or into Fort Lauderdale International Airport, however please note that this is not included in the programme fees.